Honeycomb solutions provides business and people with technology solutions that support and improve ‘best in class’ product development. As one of the leading global PTC partners our technology solutions (CAD, PLM, SLM, ALM) transform the way companies create and service their products. 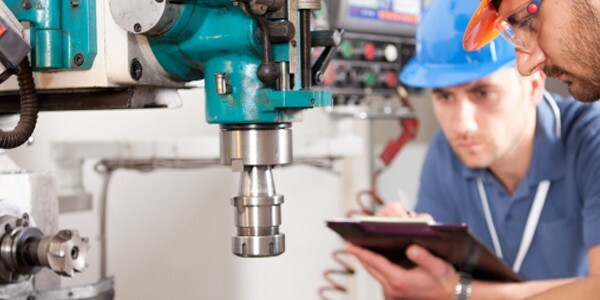 Today, PTC works with more than 27,000 businesses around the world to help them design and service products in rapidly-evolving, globally distributed manufacturing industries, including industrial equipment, automotive, high tech and electronics, aerospace and defense, retail, consumer, and medical devices. This role will be responsible for monitoring and heading the Technical Support team and its call system. It is expected that this person will possess knowledge of one or more PTC product lines and able to field frontline calls whilst managing the system and heading the support team. Advanced knowledge and awareness regarding the application of PTC’s products in production environments will be a requirement and be ready to take over highly escalated account situations that require advanced technical, organizational, and communication skills. Measures will be to improve overall quality of response and resolution times on their own specific non-trivial software issues, and those of other engineers. With respect to this, assisting management in the technical and operational development of other technical support / technical staff is key to development of the team. Assessing the technical accuracy of other engineers’ resolutions, recommend training, and performing call log reviews are other aspects of this position. It would be expected to keep management and sales informed of current status with regular reports. Honeycomb Solutions offers an excellent salary with potential for bonus, commensurate with experience that is above average in the local community. Benefits can include a choice of plans providing comprehensive coverage for medical and vision care for employees, pension entitlements, 20 days holidays plus statutory leave days. DESCRIPTION: The Business Development Team’s mission is to manage sales and services relationships with our customers supporting technology planning and investment, sales campaigns and project rollouts to ensure customer success. Customer Account Manager, responsibilities include developing new client relationships while growing existing client relationships utilising PTC solutions. The position will hold primary responsibility for direct sales to all potential clients in the assigned territory, ensuring that customers receive benefits of a PTC solution to their needs. Interfacing with other Concurrent Engineering personnel, PTC and PTC Solution Partners, will be required for ensuring the integration of the solution and addressing the customer’s design automation requirements over possible multiple locations. To achieve assigned revenue target by selling PTC based technology solutions to discrete & process manufacturing companies. Investigate and understand the internal business processes of potential clients and strategise, present and demonstrate a tailored technology solution with the support of the technical team. Build relationships with key executives (CEO, COO, CFO, and CIO) and departmental managers. Must possess a technical understanding of customer’s business objectives in order to map a strategy consisting of software, training, and implementation as a solution to those business objectives. Develop revenue & license forecast in coordination with the Business Development Manager. The Application Engineer is a customer-facing individual who provides technical expertise, support and training covering a selected range of PTC solutions, primarily Creo and MathCAD. Working under supervision, this person offers advice on the best software applications and techniques to address customer needs. This person is expected to perform the required activities to support the Technical team in both pre and post-sales engagements. Recent graduates from an Industrial Design or Product Design background to train as an Applications Consultant. You will specialise in CAD/CAM software enabling you to help customers and deliver training courses. The right applicant will need a design background coupled with a strong knowledge of CAD/CAM. The PTC suite would be preferred (Pro/Engineer and CREO) but other packages such as Solidworks and Autodesk Inventor would be considered. You will have at least a 2.1 and have taken all the available CAD modules on your course. You will also need strong communication skills and a willingness to travel. The Inside Sales Team’s mission is to develop sales and services with existing customers and prospects. The function of the Inside Sales Representative is to provide direct support to the Sales Managers in the on-going development of existing and prospective customers to ensure that the department is able to meet its growth targets. Honeycomb Solutions offers an excellent salary with potential for bonus, commensurate with experience that is above average in the local community.